MBARARA- Hundreds of people on Saturday flocked Rushanje Girls Senior Secondary School to access free medical services offered by the Archdiocese of Mbarara Development Association. The umbrella organisation unites Catholics from Ankole subregional districts and the health camp was part of their sixth caravan celebration. The Parish Priest Rushanje, Rev Fr. Hilary Katusiime said the big turn up implies there is a gap in health services and other sectors too. He said many people cannot afford paying for treatment in private health facilities. Fr. Katusiime explained that people have lost hope in the government health facilities giving an example of Rushanje Parish Mbarara Archdiocese which has health facilities that are not working as they are mainly closed with a bushy compound. The Chaplain Archdiocese of Mbarara Development Association, Dr. Rev.Fr. Darious Magunda said the cardinal duty of the association is to continue uniting Catholics originating from the archdiocese. life and to the full by following the order of unity, spiritual renewal, economic empowerment, education development; health and wellness. The MP for Rwampara county Mbarara District, Hon. Charles Ngabirano said mobilising for health services has been left to politicians but government does not have money but able Ugandans should support such programmes. He applauded the members of Archdiocese of Mbarara Development Association for the great initiative urging them to produce a comprehensive report on the response, causes and factors why people no longer want to go to government health facilities. 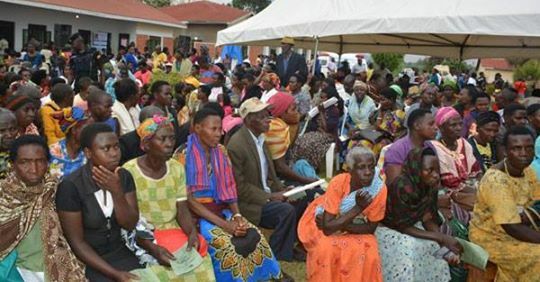 The Member of Parliament for Buhweju District Hon Francis Mwijukye said the big number that turned up for free health services is an indicator that there is a breakdown in the health service countryside which he said is due to lack of adequate staff and medicine.